Building The Thinkergirls brand has come with its own trials for its two members, Stacey June and Kristie Mercer. 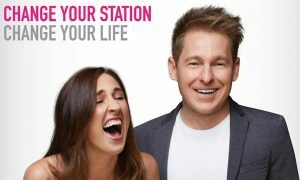 The online sensations-turned-KIIS network radio presenters recently celebrated their 200th show on ARN. “I moved into a garage,” June told Mediaweek. “It was tough – four bean mix and tuna were all I was eating,” June said. “Now, I can add avocado to that, so it’s quite happy days for me! The Thinkergirls came to life when June and Mercer met for the first time at a radio boot camp. It started off as a long-distance relationship. “The main joy now is that we are in the same building every day. It was often hard before, because we were still building this [The Thinkergirls] interstate,” June recalled. “We were actually in a long-distance relationship that was kept afloat via Skype and random trips on the weekends,” Mercer said. “And we still did demo shows and podcasts every week,” June added. Landing a show at KIIS Network was a dream that June and Mercer had been working towards. They are very clear in saying it’s not something that’s happened through sheer luck. “We built it with a clear intention of it being a business, as well as a content [brand]. We knew that content creation, online portals, radio and everything like that were soon going to marry,” Mercer said. “It was a real strategic decision to then take that into video and expand the brand. That was all in the effort to build up enough following to get a radio show. That was always our dream. Their pitch for a show on radio had been knocked back multiple times before they finally got the job to host the 7pm-9pm timeslot on the KIIS Network from Monday to Friday. 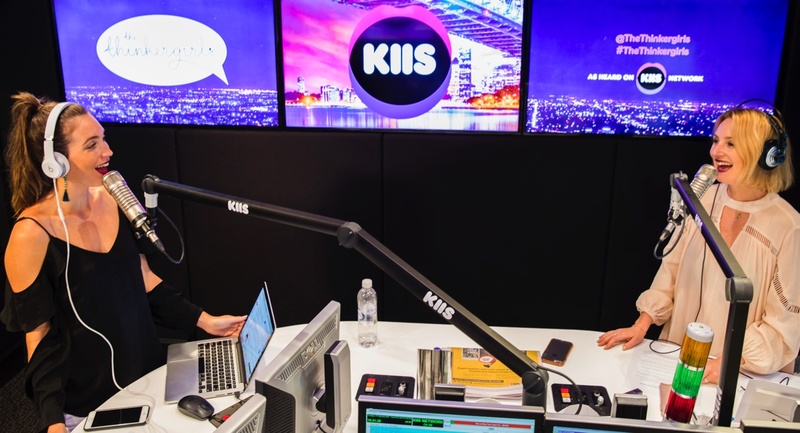 The Thinkergirls credited KIIS Sydney and Melbourne content director Derek Bargwanna for giving them a break on metro commercial radio as on-air presenters in 2016. “We knew there was something more there than a podcast,” June said. “It wasn’t just us – there were people listening too. This was without any PR, money, properly built website and photoshoots. It was raw. June and Mercer describe The Thinkergirls as “a multifaceted brand”. They currently have three podcasts, a video series and a radio show. Talking about their podcast ventures, Mercer said: “It was a funny thing having that podcast to be what it was and the reason it began. It was all the things that we couldn’t talk about on our radio show, that we could talk about on the podcast. “We never really thought that this radio show we were aiming for would be the exact kind of content that we would’ve been able to do. The Thinkergirls describe the two hours on air at KIIS as a “reality show” on radio. “The whole show is our vision through our eyes,” Mercer said. The name of the duo would imply that the content produced by June and Mercer is aimed at women. However, that is not the case, they said. “A lot of people might not know this, but the only other woman in our team is our producer. The rest is a team of blokes,” June said, laughing.